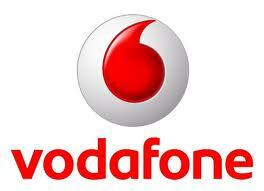 Vodafone recently launched its Unlimited Internet Plans for Indian customers. Now users of all India can enjoy unlimited 2G and 3G internet on their smartphones. The unlimited internet plans are available for both prepaid and postpaid users. Although, the unlimited Data Packs are not really unlimited. Because after a specific threshold limit, your speed will be reduced to 60 Kbps no matter if you are on prepaid or postpaid or if you are from Chennai, Kolkata, New Delhi, Mumbai or Punjab. The good thing about these plans is they are good for downloading and surfing internet a lot. This means if you use internet too much on you phone then you should go for their unlimited plans. Following are the details about the Internet Plans of Vodafone such as the exact amount, the given threshold data usage limit and validity. Vodafone Internet Plans For Prepaid Customers: Vodafone prepaid users have plenty of Internet packs to choose from as given below.